This two-story office building at 306 Cambridge Avenue was designed for an advertising firm, to project their creative image. Clean lines and simple modern expression were key to providing a working environment conducive to their artistic endeavors. 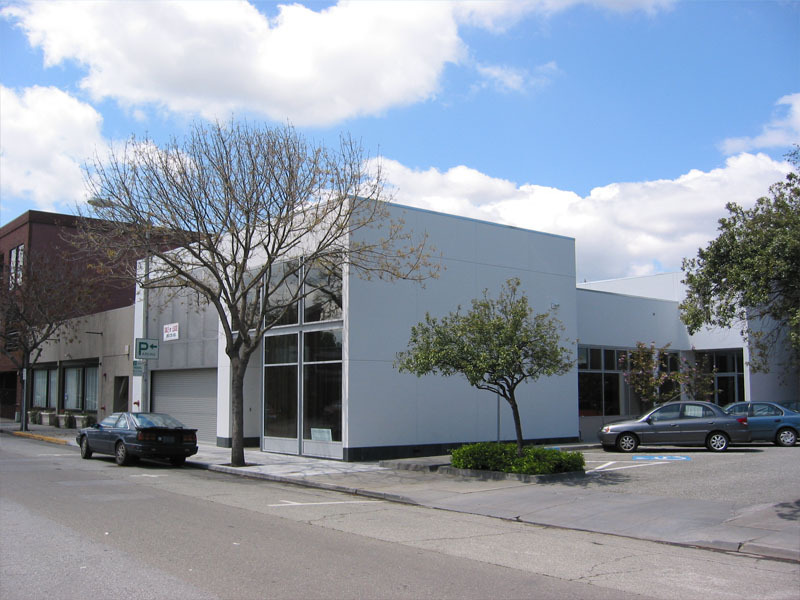 The building is located on an infill site in the California Avenue district of Palo Alto, and is bounded by a public parking lot, other commercial buildings and an apartment site. These constraints led to the design concept of interior courtyards as the focus of the office spaces. Large glass walls look into simple courtyards with soothing landscaping. The openness of the interior spaces allows for visual connection among the work spaces and views of the courtyards from all areas. Modern, high-tech detailing of the façade and interiors completes the clean, artistic expression of this office.